This tutorial covers a basic workflow for whole genome CNV analysis and association testing using the univariate segmentation process in SVS. 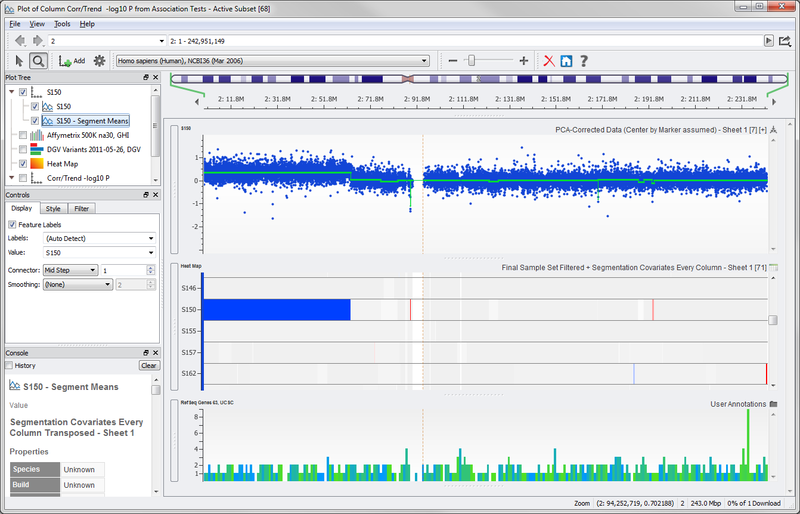 The tutorial is built around the Affymetrix 500K array, but the workflows are generally applicable to most SNP microarray platforms as well as most aCGH platforms. There are some anomalies with Illumina microarray data where certain analysis steps may not directly apply. For more information on what to be aware of with Illumina data, see CNV Analysis Tips for Illumina Data. If you have downloaded this file for any of the other Copy Number Variation Analysis Tutorials, you do not need to download it again. 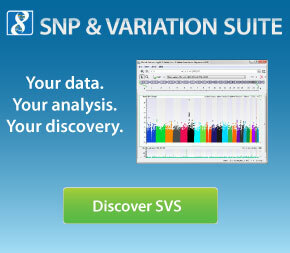 Sample CNV Data Project file - contains Phenotype, PCA Corrected Data and Segmentation Output spreadsheets. The dataset in this project file is based on the results of the CNV QC tutorial. That tutorial has 200 samples that were reviewed for various quality measurements, with 190 samples eventually selected for analysis. Here, we start with those 190 samples after applying a PCA correction to the Log Ratio Data based on the first 7 principal components. We also provide univariate segmentation results for the full 200 subjects with the 190 active subjects for further analysis.